Our business starts with understanding yours. We believe experience matters. It’s the secret recipe in building brands people care about. 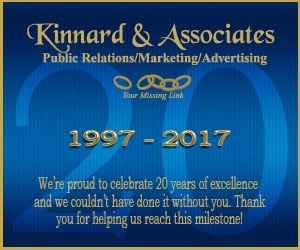 The professionals at Kinnard & Associates put our skill sets to work by first consulting with you on the best way to achieve your objectives using our full suite of marketing services- whether its designed to drive more business and revenue from targeted customers or helping you achieve specified goals with the success of your diversity business outreach program. We offer single service or customized multi-service solutions to ensure we meet your marketing needs and budget and we are with you every step of the way. Brand StrategyInspiring strategies delivers inspiring work. Brand strategy crafts the story for a brand; how it will build and activate its community and advance it beyond the reach of competitors. We use brand strategy to outline the creative, social, personal and experiential steps that the brand will take to compel the best customers to drive a business forward. Brand Design & IdentityOur proven process solves business problems. It begins with strategy, bringing agency and client to a shared understanding of the brand by unearthing its DNA and projecting its future, long before the hard work of visual development ever begins. This creates an invaluable foundation for all aspects of brand marketing. And it looks amazing, too. Social Medial EngagementOne of the most powerful benefits of an engaged brand community is the power of recommendation—nothing has as much persuasive power as advice from a trusted, like-minded friend. And nothing enables those recommendations on a large scale like Social Media. Whether social listening and seeding, community building, blogging or content development, we have both the strategic understanding and storytelling capability to engage your brand communities in ways that drive your business goals. Direct MailStrategies for national franchises, agencies, small to mid-size businesses, and local businesses. We are a one-stop-shop agency that does all of our work from content writing, graphic design, and printing in-house. Our variety of direct mail products range from postcards, menus, brochures, personalized letters, as well as custom-made products designed to fit your exact needs. At Kinnard & Associates, we are willing to work with you to design exactly what you are looking for in your direct mail marketing campaign! Video MarketingIn today’s world, online streaming has become increasingly popular with the use of various online television programs. Rather than seeing TV commercials, audiences are exposed to targeted ads that play before the feature starts or throughout the feature when commercials would normally roll. This is the beauty of online video marketing: your videos can be targeted to your ideal audience who would be more likely to watch the video in entirety and result in a click to your website. Online video marketing is especially beneficial for businesses so you can connect with your audience on a more personal level, giving a direct insight to your business and company culture. This establishes a deeper connection with audiences and allows them to easily recognize a need for what your company offers. Graphic DesignYour marketing campaign’s design, be it print or web, will not only influence the success of your campaign, it will also influence your company’s image in the minds of your customers. Whether you are looking to build entirely custom design from scratch or simply want to modify an existing creative, our graphic designers will produce a high-impact creative that stays true to your brand and takes your business above the competition.